The Bat Whispers is an early Talkie and widescreen film from 1930 about a master criminal known as The Bat. It’s noir, yet strangely comical, and served as a major influence on Bob Kane in the creation of the character of Batman, and generations later on the work of Tim Burton, who used the swooping camerawork and the heavy use of miniature sets as part of the template for his Batman films. 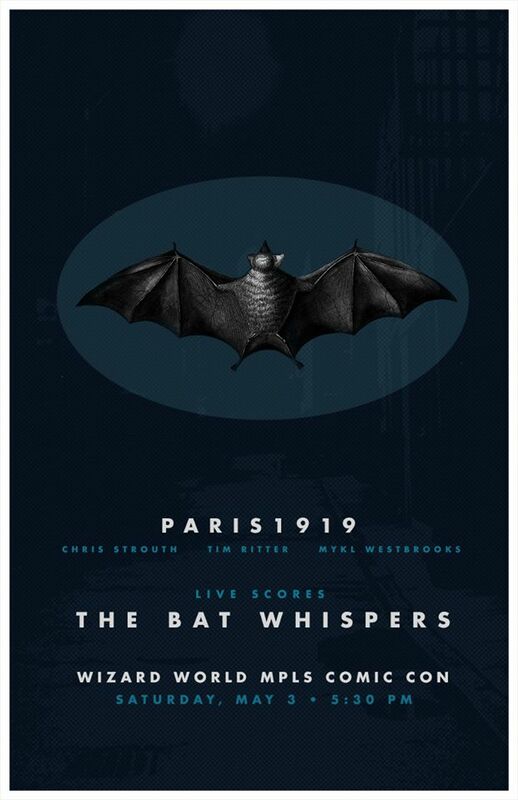 The new score, composed by Chris Strouth and performed live exclusively for Minneapolis Comic Con with his New Modernist group Paris1919 (Tim Ritter, Mykl Westbrooks), gives the film a darkly haunting soundscape.